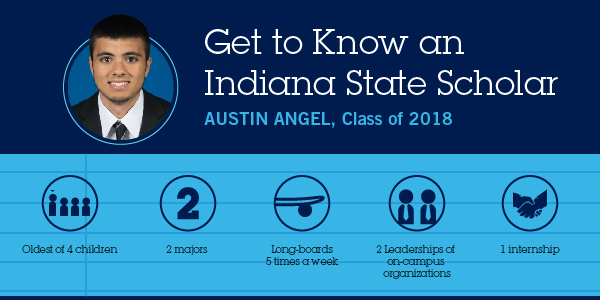 Angel is the vice president of Alpha Kappa Psi business fraternity, secretary of investment club and president of Financial Management Association. 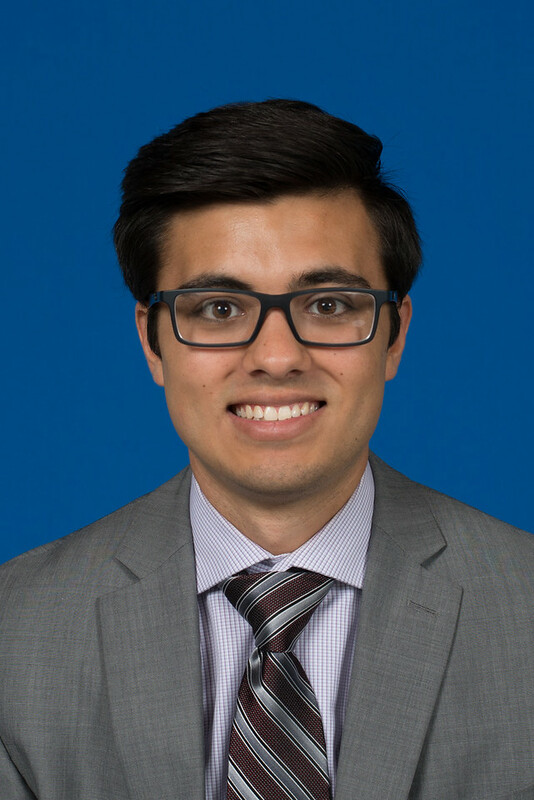 Angel plans to earn his CFP and CPA after he graduates. If you had $10 million, what would you do with it? "I would probably go buy a house, pay it off. Go buy a car, pay it off. Then I would probably put the rest away in an IRA, mutual funds, stocks and bonds. Then I would just pass it on to my kids." "Sunrise, I'm a morning person. I like getting my day started and being active." "I would have to say from Kimberly LaGrange, an instructor in the Scott College of Business. We had a large group project in my class, and I was the leader of my group. All semester she complimented me and recognized my hard work. At the end of the project, I had a one-on-one with her, and she told me she can see me being very successful." What creature scares you the most? "Spiders because I'm a big baby when it comes to bugs. They are gross." "My little brother. He was born with a lot of birth defects and he wasn't even supposed to live till he was 3, and he is now 11. He has overcome a lot, and he always does it with a smiles. He definitely pushes me to be the best because he will always need me and I want to be there for him."